At OptoRobotix we design and develop flow cytometers with cell sorting capabilities. 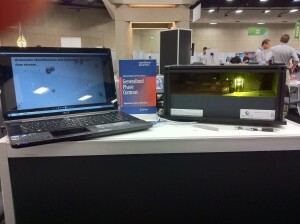 OptoRobotix’s latest efficient light shaping technology, Holo-GPC, has just been published (PDF). This intelligent hybrid combining the strengths of both GPC and digital holography is expected to boost the performance of the Cell-BOCS. OptoRobotix receives ACTPHAST support to develop the next generation of GPC Light Shapers. 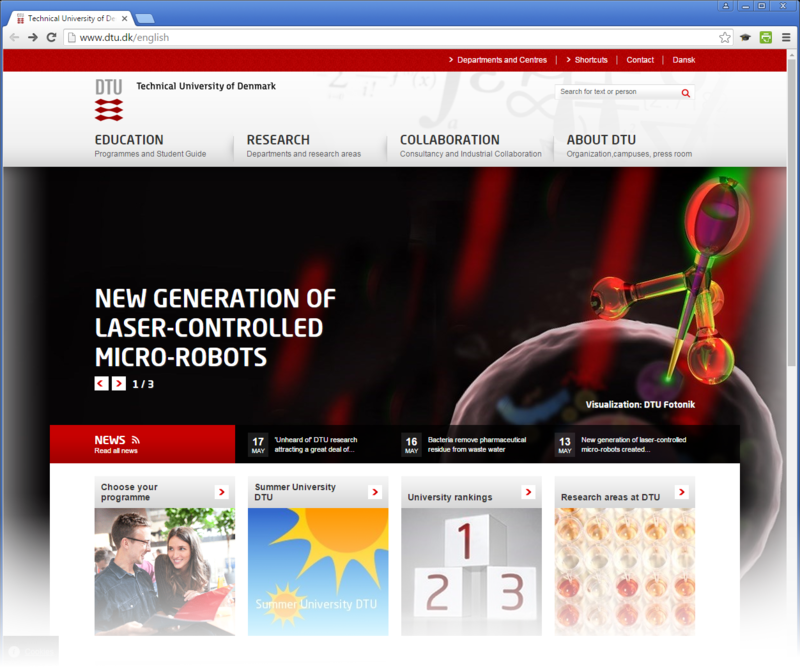 The Technical University of Denmark’s home page features a “New Generation of Laser-Controlled Micro-Robots” which is based on the same optical manipulation technology that OptoRobotix uses for cell sorting. 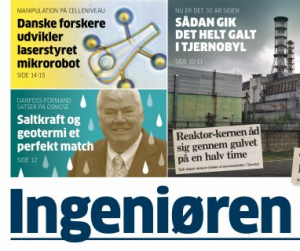 The story is also covered in the June 2016 issue of DTU avisen. 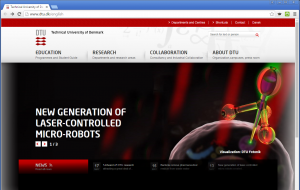 The work will soon be published in Nature journal Light: Science & Applications (LSA). 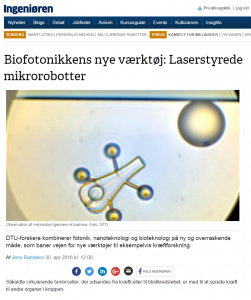 Ingeniøren features our optical trapping technology behind the cell-BOCS and “light driven micro-robots” equipped with a syringe for biophotonics applications from the PPO research group. 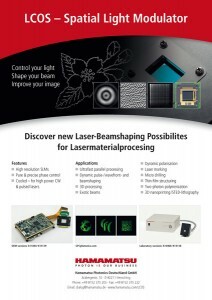 Hamamatsu Photonics highlights GPC technology from our tech-transfer unit www.GPCphotonics.com for laser beam shaping applications of their LCoS spatial light modulators (PDF).